In this lesson are opportunities for teaching and learning about some ways in which music is aligned with visual art. 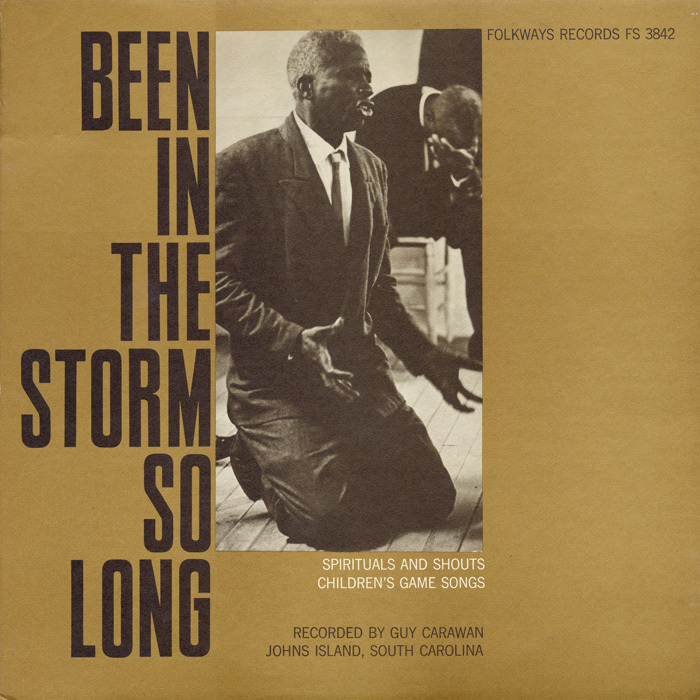 A sampling of songs from Smithsonian Folkways Recordings is presented, alongside the cover art relevant to the songs. 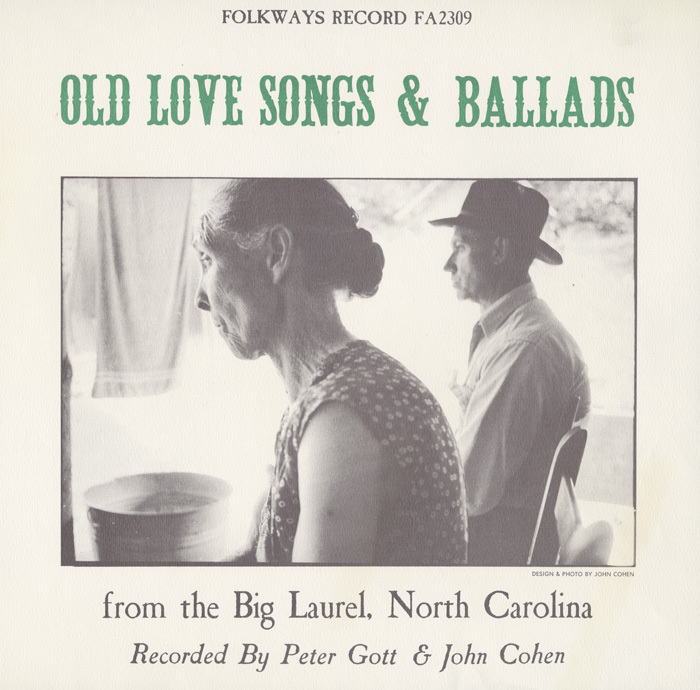 Several well-known pieces are featured from the wide array of recordings first envisioned by Folkways Records’ founder Moses Asch in the 1940s. Singing, chanting, and movement experiences are featured alongside examinations and discussion of the photographs and imaginative artwork of the historical album covers. Prerequisites: Some singing experience is helpful, but not required. Students will sing, alone and in groups, using an appropriate tone. Students will keep a steady beat. Have the cover art on display to view and discuss what the songs on the recording are about. Leave visible while singing. Listen to Pete Seeger sing the first verse. Ask what instrument they hear (banjo). Listen again to recording. Students always sing rooster response and fill in other animal sounds. 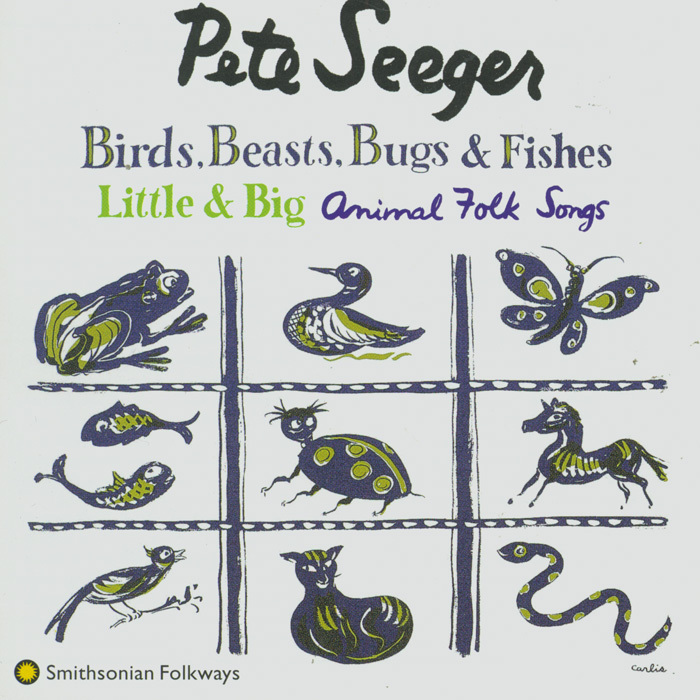 Listen to Pete Seeger singing verses, students sing along on chorus. (optional add-on) Teacher can show picture of each animal mentioned in verses: bat, woodpecker, bluebird, owl, turtle dove. Assessment: Demonstration by students of use of appropriate singing voice and maintaining steady beat during performance. Have the cover art on display to talk about the content of the recording and thoughts about the people in the picture and what they might be doing/thinking. A map or Google Earth image of North Carolina and its neighboring islands, particularly John Island, would be appropriate. Listen to recording and point out that there is a conversation going on. Teach conversation to students. Teacher starts, students learn response. Change the student’s name with each repeat, and change what they catch. Students listen to recording. When it gets to “painy in my…” section, students point at that part of their body. Listen again, students point at their body and sing “ranky tanky” response. Assessment: Students use appropriate singing voice for the response and maintain a steady beat. Have cover art on display. Ask children what they see/imagine is happening. 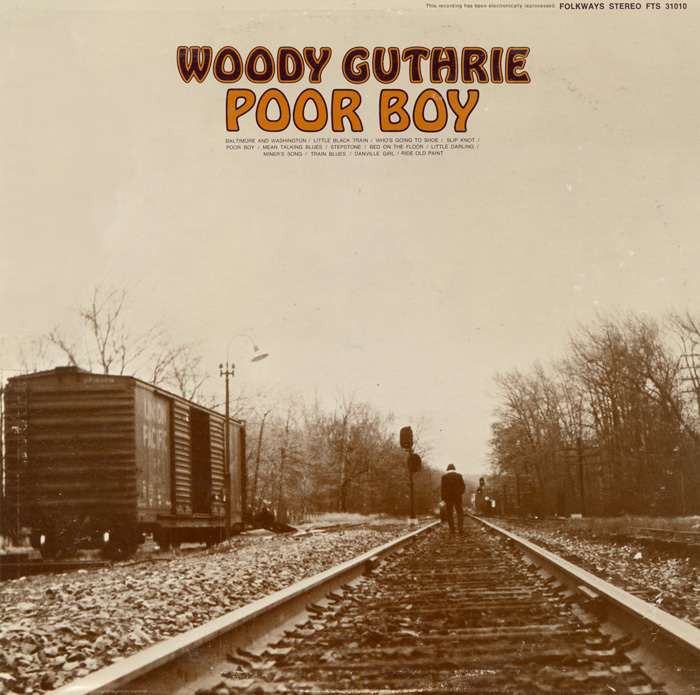 Discuss Woody Guthrie and his fondness for trains, traveling on trains, and people who worked on railroads. Students listen to beginning section of song. Students learn to sing “train whistle” tune at beginning and end. Students sing the “train whistle” call at beginning and end of song while listening to recording. Teacher sings verses while strumming guitar, students sing at beginning and end. Student blows train whistle at start and finish. Students listen to recording and identify instruments (harmonica, guitar). Show pictures of the two instruments, including people who play both at same time (e.g., Woody, Bob Dylan). Students line up in little “trains” of four to five students. They lead their train “down the tracks” (through the space), walking to the beat of the music. When the teacher calls “switch,” the engineer becomes the caboose. Assessment: Students walk to steady beat. Students recognize and identify instruments. Have cover art on display. Have students imagine and describe what the people in the photo are doing or thinking. Discuss North Carolina—and that it is the same place that the John Island music comes from. Do they hear any difference in the voices? Play recording of “Pretty Saro” as sung by Jean Ritchie. Ask students to compare difference between singing voices. Show students Appalachian dulcimer. Let them try a gentle strum across the strings. Teacher sings for students while playing dulcimer. 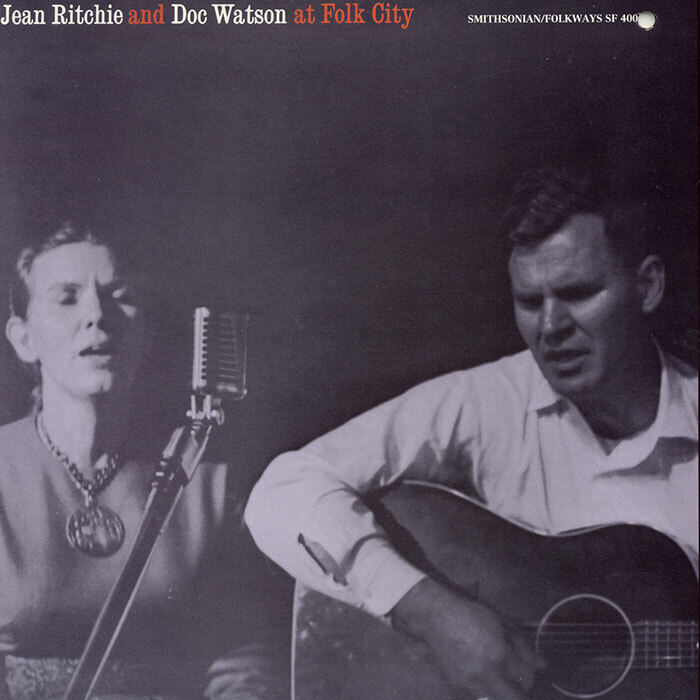 For accompanying ideas, listen to Jean Ritchie’s playing on recording. Have students practice different ways of keeping steady beat with hands on knees, chest, into palm of hand. Listen to “Juba” while tapping steady beat with two fingers into palm of hand. Try a more complicated pattern while listening. Take student suggestions for other ways to tap out the beat for “Juba” while they listen. Listen to a sample from "Fly Through My Window"
Listen to a sample from "Talking 'Bout a Good Time"
Listen to a sample from "Train Blues"
Listen to a sample from "Pretty Saro (Pretty Sara)"
Listen to a sample from "Pretty Saro"